We got the Technology Will Save Us Electro Dough Kit out again to make a festive project whilst learning about how electricity works. We've reviewed the Electro Dough kit in a previous project making a squeaky mouse. We made a Christmas tree with Christmas LED lights and the kids added a buzzer to the star! Using conductive play dough to learn about electronics is fantastic hands on way for kids to explore how electricity works. 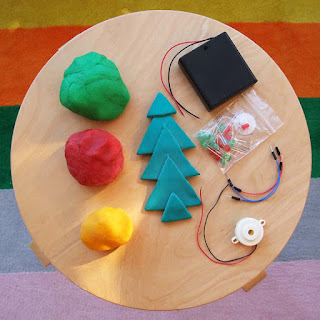 Our step-by-step guide will help you make a festive conductive playdough project to try at home. 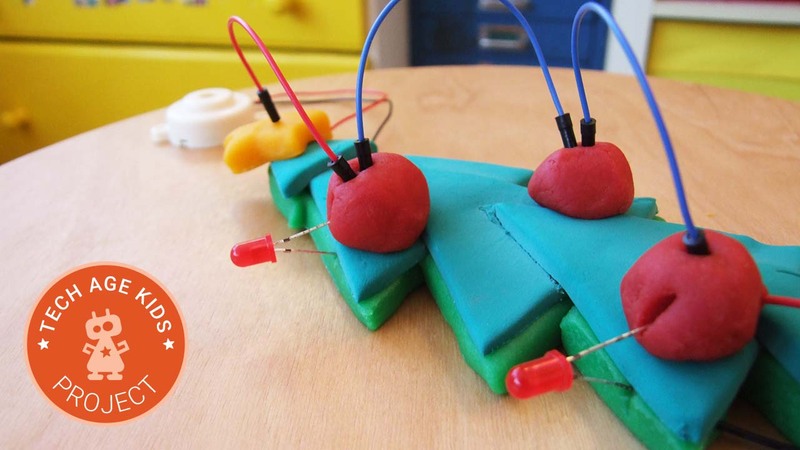 Buy Electro Dough Kit from Technology Will Save Us. 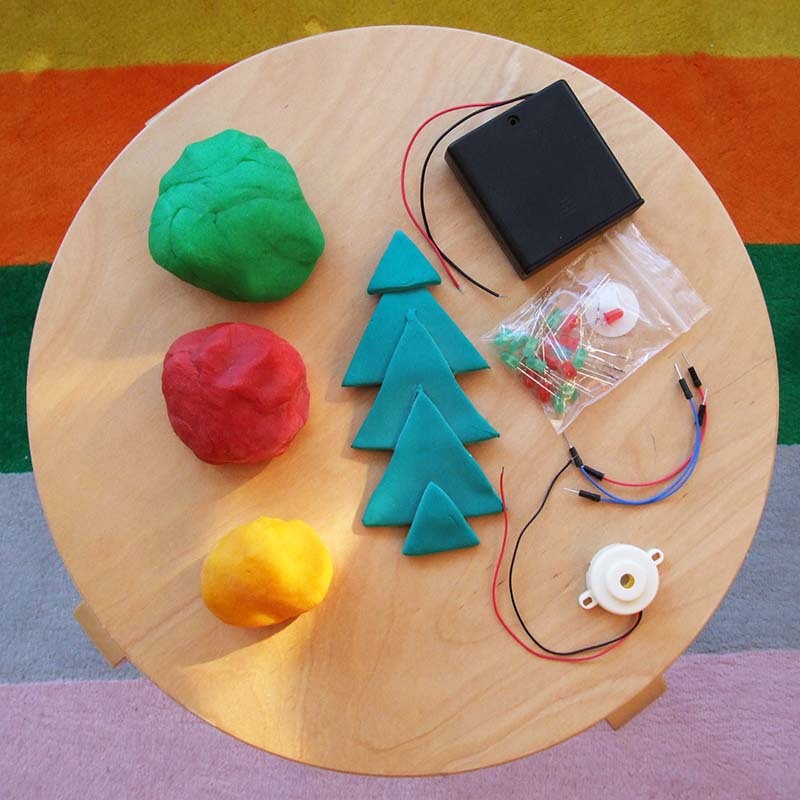 The Code Club website has a great recipe for conductive play dough. For this project we used Creme of Tartar instead of lemon juice (it was what we had in the cupboard at the time). We then divided the dough into smaller balls and added food gel colouring to make red, yellow and green. We experimented with air drying clay and were pleased to find it acts as a brilliant non-conductive material. 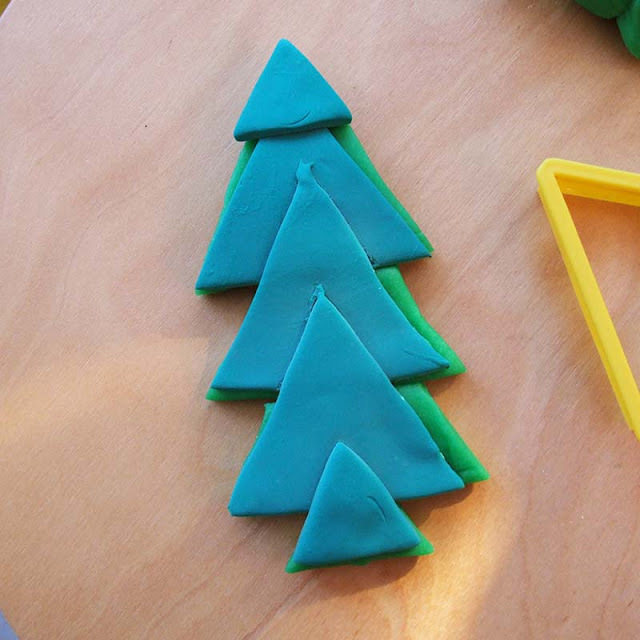 Using cookie cutters we created a Christmas tree shape and allowed it to dry overnight. 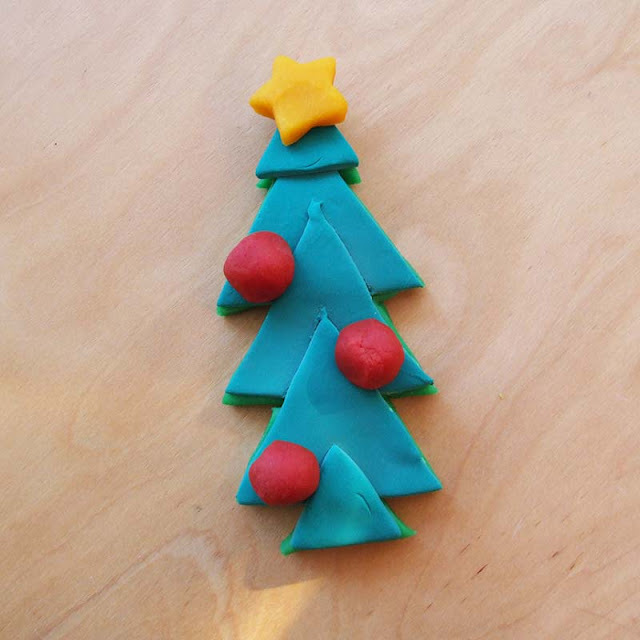 Copy the shape of the clay Christmas tree in conductive play dough. It's really important that you have no gaps in the dough. Now add baubles (we used red play dough balls) and a yellow star, made using the conductive play dough, on top of the clay tree. Make sure none of your decorations touch the conductive dough under the clay. It takes a bit of trial and error to get this part right, but the kids really enjoyed figuring it out and thinking about how electricity flows. There are great resources on Adafruit about how electricity works. 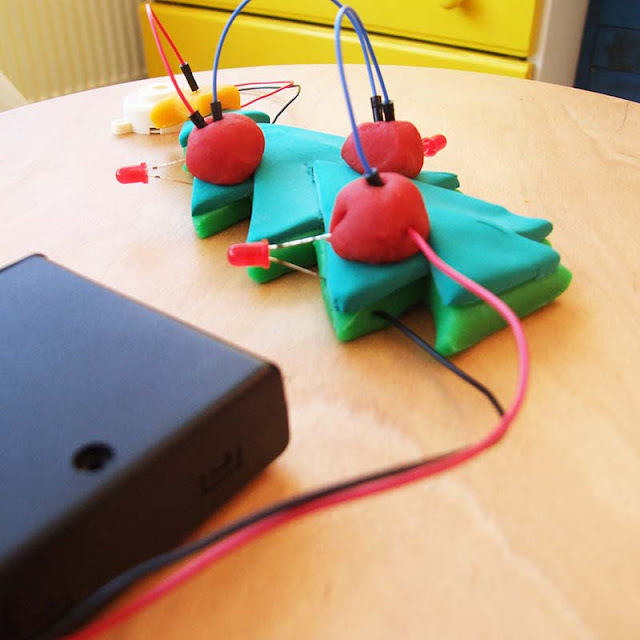 Insert the black wire from the battery pack into the conductive Christmas tree and the red wire into the first conductive decoration. Connect the decorations with jump wires, thinking how electricity with flow from one to the next. 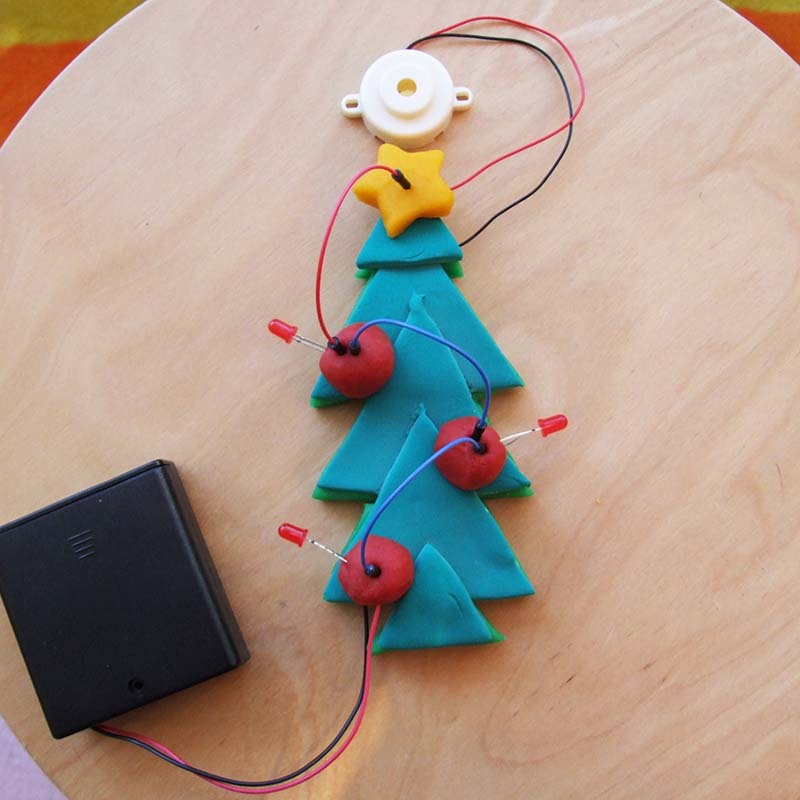 Add the LEDs, one leg into the conductive Christmas tree and one into the decoration. Here you need to experiment a bit, as LEDs have a positive and negative wire. The kids added a buzzer to the star to finish off our project. Unfortuantely the LEDs are very faint and it is really hard to take a picture showing them shining. We can assure you, it worked and the boys were very pleased with the result!